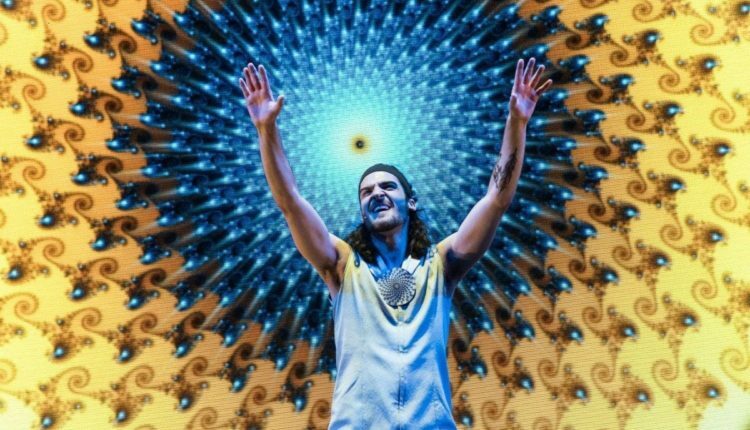 Off-Broadway “modern Shamanic journey,” THE PORTAL, opened this weekend to a spiritually minded audience at The Minetta Lane Theatre. Before stepping foot inside the half-filled preview, I was informed that this groundbreaking concept incorporated elements of a live concert, choreographed dance performance, and movie all in one. THE PORTAL soundtrack is now available and I feel that the show flows even better by pre-listening to the mythological themes presented in the lyrics and compositions by Tierro Lee and Luke Comer with Charles Newman and David Sisko. 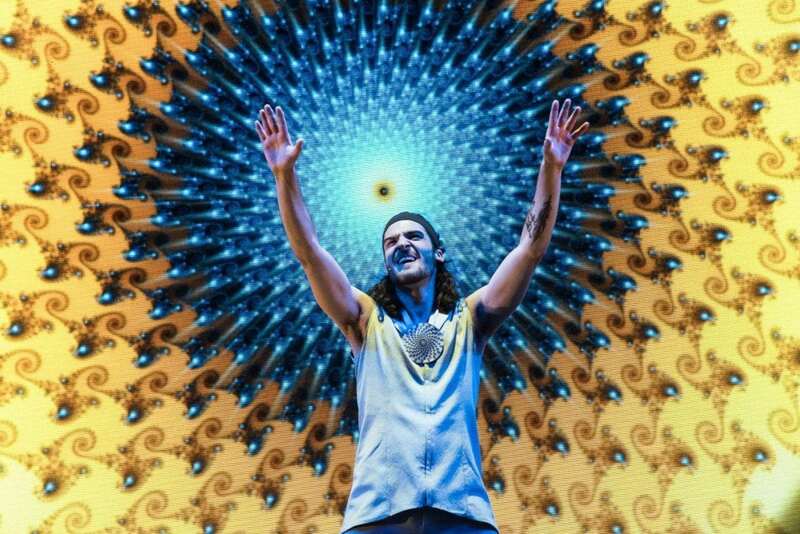 Frontman Billy Lewis Jr., most recently credited on Fox’s “Glee,” appears on stage and sonically narrates the dreamlike adventure of Dante, through inspirational and symbolic landscapes, Alex Grey-influenced imagery and psychedelic desserts that I assume were once visited by Jim Morrison. The audience is introduced to the voyage with songs like “Eclipse” and “Greeting,” sung by Lewis as the film, starring Dante (Christopher Soren Kelly), is projected on the large screen behind him. The eclectic mix of tribal and electronic beats, modern dance music and monstrous rock riffs are brought to life by percussionist Gilly Gonzalez and guitarist Paul Casanova who also appear on and off stage from scene to scene. Dante’s inner-demons appear to be haunting him in the film as actors portraying the same characters can be found roaming the theatre floor to terrorize and intrigue the audience. Fans of electronic giants like EOTO, The Disco Biscuits, and Beats Antique will appreciate the deep and transformational grooves during songs like “Trance,” “Synth” and “Space Weaver” while Jessica Aronoff and Nicole Spencer interpretively dance their way on and off the stage in between songs and themes. While there is not much live acting of any kind, there is a ritualistic Burning Man-influenced dance routine in nearly every song bringing the art forms together in a very unique fashion. The only way to truly understand THE PORTAL is to expect the unexpected and dive right in. Creative Director, Luke Comer, has developed a new way to present a rock opera story off-Broadway. As an audience member, each person can relate to many of the human experiences presented on screen and on stage while still enjoying live music, dance and film. Tickets can be purchased for Wednesday-Friday performances at 8PM and for Saturday performances at 5PM and 9PM.